While Old Man Winter is delivering wind and snow to the north, let’s take a little vacation way down south where the sun is shining and the days are warm. Although you might want to sit on a Florida beach, we are going to visit some busy beekeepers and see what they are doing with their bees. 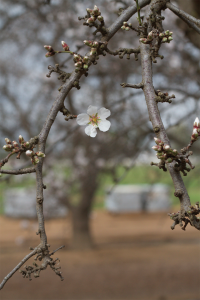 The large commercial pollinators have done their preparations and are ready to head west to the almond pollination event. So we will visit small-scale beekeepers from east to west. Leave your down jackets and warm gloves behind. Let’s go! Here in the south you will find something in bloom all year around. The climate is considered sub-tropical in many places. The mountains in the west will be cooler. The queen will be laying all 12 months but does decrease somewhat during October through December when the hours of daylight are declining. Unless it’s raining or a surprise cold day bees will be flying and will find something useful in bloom even if it’s a dandelion. If you have a nice library of bee books that you consult frequently you may feel that they are more suited to the very large temperate area of the U.S. Information on swarming may not exactly fit what happens in the deep south. Sections on Winter cluster and Winter feed do not seem appropriate. In the south 25 pounds of honey for Winter feed is usually adequate. It can be easy to mentally shift the seasons on management. Books on bee plants may list some that grow in your area. Your local bee club can certainly provide the best information on what to do when and also for plants. A field guide for wildflowers does have good information on where a plant will grow and when it blooms. If your bee club does not have a list of honey and pollen plants for your area, then that would be a good project that would benefit members, especially ones new to beekeeping. Let’s start our visit in Florida where we will encounter the African bee although there is European stock here also. More about the African bee later. Florida once had huge crops of citrus honey, also called orange blossom honey – aromatic and incredibly delicious. Today vast acreages of citrus trees are either infected with citrus greening disease or have died from it. Florida is not the only state infected. Unfortunately the disease is in Texas and California, two other states with large citrus orchards. There are other plants for a honey crop but none as famous as citrus. In the Gulf states you need to have swarm-catching equipment ready early in the year. Although March can be considered swarm season, a surprise one can occur in February. Start looking for queen cells in February to be aware of the bees’ plans to swarm. Those queen cells can be used to make nucs. If you club is giving beginning beekeeper classes then nucs with local bees are an excellent way for someone to start beekeeping. Many beekeepers find there is a good market for nucs to replace Winter losses. If the nuc can increase its population in a full-sized hive readily it would be possible to have a honey crop from it. Southern beekeepers seem to favor a Langstroth hive of one deep hive body and one medium. Colonies are not as large as in the north. If you have thought about some small-scale pollination of crops in your area, now is the time to make plans, for you and for your bees. You need to have a contract with the grower. That is an essential part of offering bees for pollination. You can find the important points a contract should have in ABC&XYZ of Bee Culture. There you will see what the grower needs to do and what you need to provide. Pesticide use may be prevalent in citrus orchards so it is important to check with the grower for any spray schedule. Actually in these days of pesticides, fungicides and herbicides it is always important to ask all growers you contact for pollination about any of those to be used. You want strong colonies but since swarm season starts early in the south you need to use timely swarm prevention management or you could lose the bees needed for early crops. 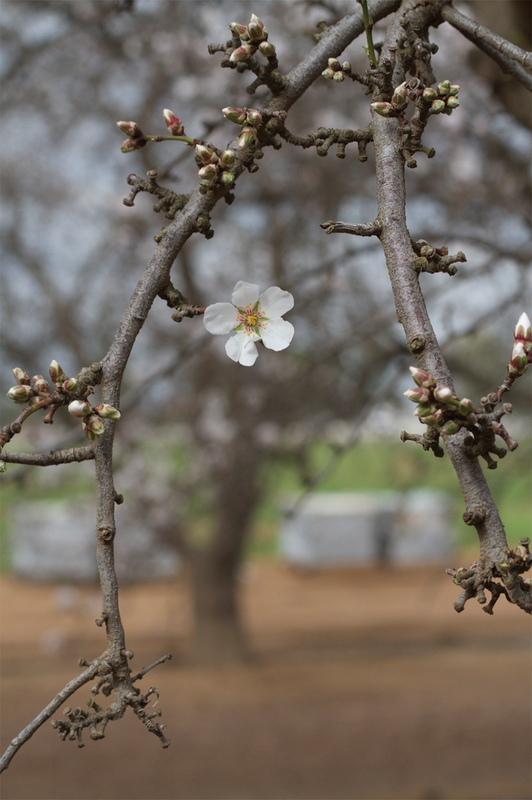 Your area Cooperative Extension Service agent could help you find growers with crops suitable for small-scale pollination. The long growing season means a beekeeper could have both pollination as well as a honey crop. No matter where you live you need to be a Plant Watcher and a Weather Watcher. If you are planning pollination of a crop the weather will affect when the grower needs you to move your hives into the crop and also out. 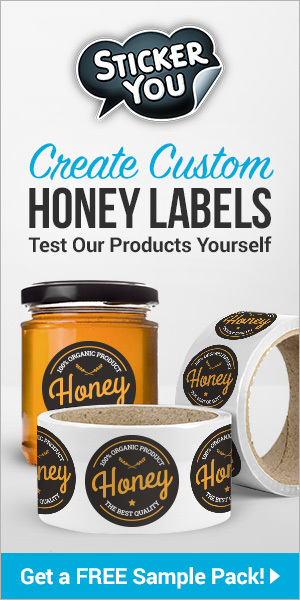 If you are planning a honey crop you need to be ready with honey supers when the plants are ready. It is always a challenge to beekeepers to keep up with Mother Nature and the bees. As we move through the Gulf states we will find the main nectar flow for a honey crop can start in mid-April and continue into June. Cotton is one of the main agricultural crops and a good harvest of cotton honey can be made. In the past the cotton fields were heavily treated with an assortment of pesticides. Fortunately in recent years the cotton itself and the amount and kinds of pesticides have changed. Thus cotton has become a more desirable crop for honey production. Although year-around beekeeping does sound enjoyable the beekeepers do have to cope more with two problems than northern beekeepers – Varroa and small hive beetle (shb). With the queen laying all 12 months there is no real break in the brood cycle. Thus Varroa can live and multiply all year. Since the current treatment threshold for Varroa is three mites per 100 bees, frequent sampling is necessary throughout the year. Any of the Varroa-transmitted viruses can mean the death of a colony rather quickly. A beekeeper who is deciding on appropriate Varroa treatments or intervention must read the product label carefully for the specified temperature range during use. The prolonged high temperatures encountered in the south do affect what can be used when. Attention must be paid to the temperatures forecast for the duration of treatments. Much of the soil encountered in the south is somewhat sandy. The soil type and the warm moist temperatures are exactly what the small hive beetle needs to be a very serious pest. The sparse rainfall of the desert southwest does not provide the damp soil conditions the shb larvae need to pupate. Those beekeepers, who live in the dry desert areas, and those who have African bees, may not have the small hive beetle at all. A hive in the south may have several types of traps for shb including ones inside the hive and oil-filled trays. Bottom boards have been designed to prevent and/or trap the adult shb. Beetles or larvae seen when the hive is opened should receive a smash from the hive tool. Those who can keep free-range chickens will find they love to chase and eat the migrating larvae. Since the shb is attracted to the odor of honey, southern beekeepers have learned how to harvest their honey crop. Two things to keep in mind – cleanliness and speed. Honey supers cannot be left piled up just waiting to be extracted on another day or they will be slimed and the crop ruined. The ‘honey house’ where extraction or other kinds of harvest takes place must be kept clean of spilled honey. Let’s continue westward into Texas and beyond. Texas, a very large state, has areas with different bee forage and honey crop plants. Now we have entered real African bee territory. Those beekeepers in Texas and the southwestern states learn how to keep the African bee. It is possible to requeen with European stock bees but not only is it very expensive to keep doing this but requeening an African hive with a European stock queen can be difficult and not always successful. Furthermore the African bee does a very clever job of usurping a European stock hive. So a hive thought to be filled with European stock bees can be actually filled with African bees, much to the surprise of the beekeeper. The correct term to describe the African bee’s behavior is overly defensive. The term aggressive is frequently used but an African bee out foraging is no more aggressive than a European stock bee out foraging. 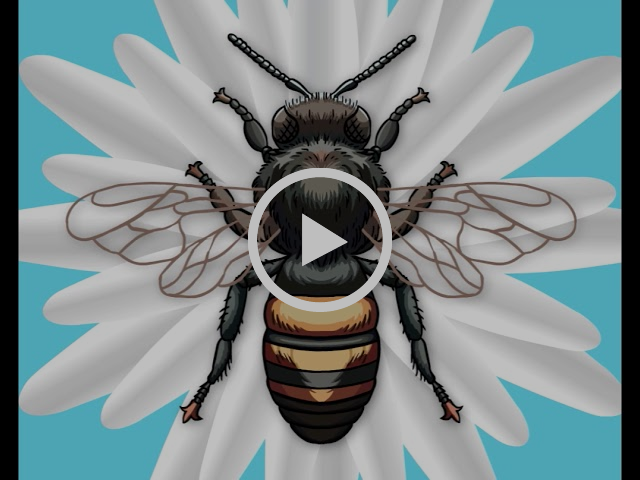 The African bee is super-sensitive to anything that approaches the colony, whether it is living in a beekeeper’s hive or their chosen ‘nest site’ in a water meter cavity, an abandoned car or an unused barbecue grill in someone’s back yard. African bee beekeeping is really ‘let-alone beekeeping.’ They are unpredictable – one day relatively calm and quiet and the next day very defensive. They do swarm frequently but even if several swarms are cast from a colony the queen that is finally left is a prolific egg-layer and the number of bees are replaced quickly. The African bee is very good at absconding. If they consider something unsuitable the queen and all the bees will abruptly leave, sometimes leaving behind brood and food. Fortunately they do respond to heavy smoking. A big smoker is handy and plenty of smoker fuel. It is helpful to smoke the entrance heavily and wait one or two minutes before opening up the hive. The bees will use that short time to engorge on honey and thus become more calm. 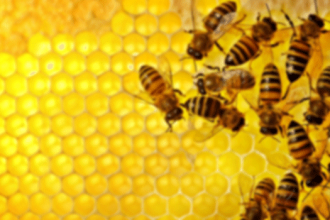 Beekeepers with African bees produce honey for sale, collect pollen and harvest wax. With sufficient forage they are very good honey producers. One advantage to keeping African bees is that they do not tolerate small hive beetle or Varroa so these problems are not a major concern. In Texas and westward mesquite is considered a desirable honey crop plant. Bloom time depends on the area and also on elevation. The honey crop is made in May and June but a bit later in the southwest mountains. In this area of the U.S., especially in Texas, it is important to know your climate, its plants and their bloom time. Excellent honey crops can be produced and are characteristic of the plant life in their region. Hello Reader! Are you up north where snow is swirling around outside? Your bees are still in a Winter cluster and are making their swarm plans now so they can take action in a couple of months. Perhaps one day you will move south where you would be interacting with your bees the whole year around. Wherever you are, or will end up, learn your beekeeping area of the United States – its climate and its plants – so you can help your bees to be healthy and productive pollinators and honey producers. 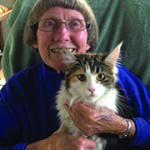 Ann Harman knows about beekeeping in the South and all around the world. She keeps her bees in Flint Hill, Virginia.